Director Choo Chang-min’s period drama “Gwanghae: the Man Who Became the King” (Masquerade) swept the 49th Daejong Film (Grand Bell) Film Awards on Tuesday, winning 15 prizes including the best picture, best director and best actor. 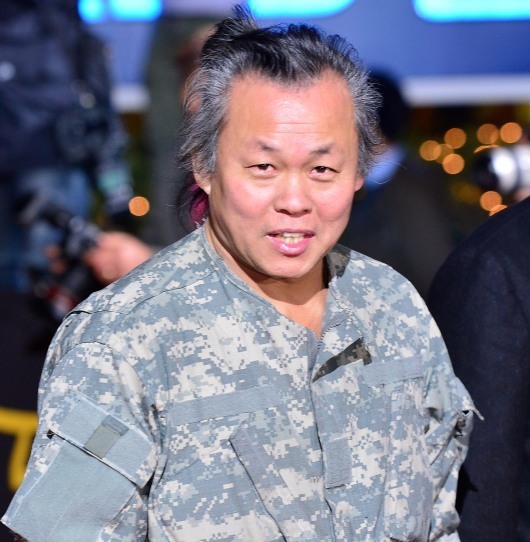 Meanwhile, Venice film fest-winning “Pieta” director Kim Ki-duk left during the ceremony. Kim’s “Pieta,” which had been nominated for six awards, including best director and best picture, received the best actress award. Director Kim was given a special jury prize for the bleak morality tale, but left the venue before his name was announced. Kim is said to have left for “health reasons,” and the film’s producer Kim Soon-mo received the prize on his behalf. Producer Kim was unavailable for comment. NEW said they are not sure whether Kim had been notified from the organizers about his winning of the special jury prize. Many local media outlets have speculated that Kim left the venue as he was upset about not winning other awards that “Pieta” had been nominated for. “Gwanghae” tells the engaging story of King Gwanghae, the 15th ruler of Joseon (1392-1910). Mega hallyu star Lee Byung-hun played dual roles for the film, as the king and the fictional Ha-sun, a street actor who ends up standing in for the ruler when he is poisoned and taken ill. The movie surpassed the 10 million mark in attendance earlier this month, becoming the second local film this year to reach the milestone after “The Thieves.” Its producer and distributor CJ E&M spent 3 billion won just on the marketing of the film, on top of 6 billion won spent on production. The company was criticized for its hold on theaters for the movie, as CJ CGV, the largest multiplex chain in Korea, is its division. Actor Lee, who could not attend the ceremony at the KBS Hall as he is shooting a Hollywood action-comedy “Red 2” in London, England, received two prizes for the role in the film: the best actor and special popularity prizes. “I’d like to thank all the crew members, actors and actresses,” said director Choo after receiving the best director prize on Tuesday. Meanwhile, actress Cho Min-soo won the top prize for her role in Kim Ki-duk’s Venice-winning film “Pieta.” In the film, she starred as the mysterious woman who visits a loan shark and claims to be his long-lost, biological mother. Actor Kim Seong-kyun, who starred as the serial killer in Kim Hwi’s thriller “The Neighbor” won the best new actor for the role. Meanwhile, film producer and director Kimjo Gwangsu openly criticized the juries and organizers of the awards via his Twitter account, calling the annual event unfair.